08/04/2019. Photos: ''Catalonia in Venice_To Lose Your Head (Idols)"
SAC International Curatorial Residency Program 2019 is the residency program at Barcelona’s Sant Andreu Contemporani, in collaboration with Fabra i Coats - Fàbrica de Creació and Institut Ramon Llull, available to international curators. 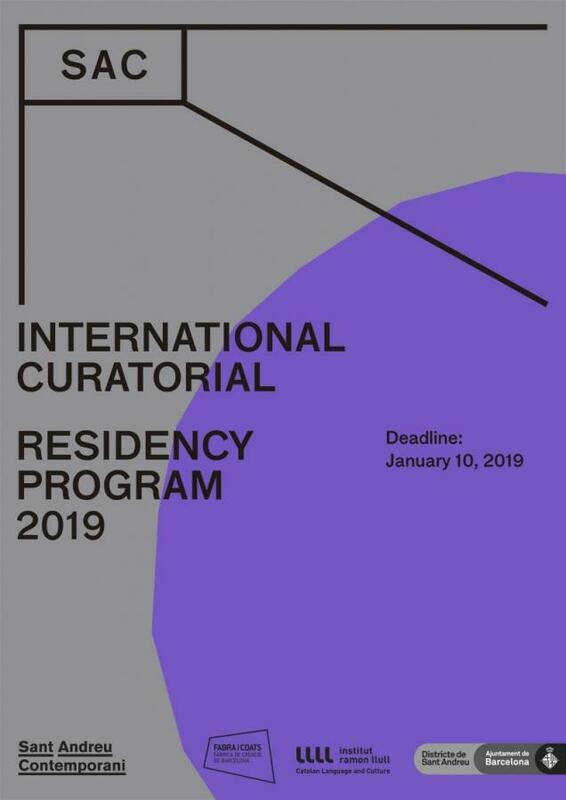 As part of the program, we are announcing an open call for proposals to choose an international curator who will be part of the Miquel Casablancas Prize for the Visual Arts’ jury in 2019, and will later develop a curatorial project with a selection of catalan artists chosen from applicants to the prize. The project must be presented at the country of residence of the curator or in another international venue that she/he decides. The residency covers the expenses of jurying the prize and for the curatorial proposal (1,700 € subject to applicable taxes), for the production of the exhibition (2,000 € subject to applicable taxes), accommodation and travel. The purpose of the open call is to offer the curator personal knowledge of the art context through involvement in the jury of the Miquel Casablancas Prize, and to foster, in the context of young art talent, future international collaborations between local and foreign cultural actors. The registration period to send the application is going to be from July 1st, 2018, to January 10th, 2019. The submission form will be available at the website until midnight, January 10th. No applications will be accepted after this time. A selection committee comprised of Eva Sòria Puig (Institut Ramon Llull), Oriol Gual Dalmau (Institut de Cultura de Barcelona / Fabra i Coats - Fàbrica de Creació de Barcelona) and the full managing team of Sant Andreu Contemporani (Jordi Pino, director; and Zaida Trallero and Pablo G. Polite, curators) will choose a curator among all the applicants. If any member of the committee can not attend the deliberation, she/he must delegate the vote to someone else who represents her/him. The selected applicant will be announced on the website (santandreucontemporani.org) on February 10th, 2019.